Yokohama and Kamakura access guide. Find the right deal and route from your place to stay. Posted on April 3, 2016 March 9, 2019 Categories Kanto Area, Private company, TokyoTags Enoden, Enoshima, Fujisawa, Kamakura, Kannai, Keihin Kyuko, Keikyu, Minatomirai, Odakyu, Sakuragicho, Tokyu, ofuna, romancecar, yokohama62 Comments on Yokohama and Kamakura access guide. Find the right deal and route from your place to stay. Yokohama and Kamakura are very popular places to visit from Tokyo as day trip. Of course you can visit these places from other places, like Osaka and Kyoto. But there are several routes to get Yokohama and Kamakura from Tokyo. If you visit these places from Osaka, Kyoto and Nagoya, you will consider to drop by these places on the way to Tokyo. But do you think that it is a right way? Should we go to Tokyo first and then go back to Yokohama? In this post, I show you the major access to Yokohaama and Kamakura from Tokyo. And I show you how to get Yokohama and Kamakura on the way to Tokyo from Osaka, Kyoto and Nagoya. Continue reading Yokohama and Kamakura access guide. Find the right deal and route from your place to stay. Guide to take trains in Tokyo. How to choose the best deal and the best route by the train. Posted on January 24, 2016 March 9, 2019 Categories TokyoTags Ginza, Keikyu, Odakyu, Shinagawa, Skytree, Tobu, Tokyo Metro, Tokyo Toei subway, Tsukiji, Ueno, asakusa, ikebukuro, keisei, shinjuku371 Comments on Guide to take trains in Tokyo. How to choose the best deal and the best route by the train. You found this post. Because you are overwhelmed by the train system in Tokyo, right? I understand it is very complicated because there are many train lines and many different railway companies. Actually it is very very hard to find the route for even the local tourist. And also there are lots of deals available but you may not be able to find the coverage of the pass. In this post, I will show you all subway lines and JR lines in downtown core of Tokyo. 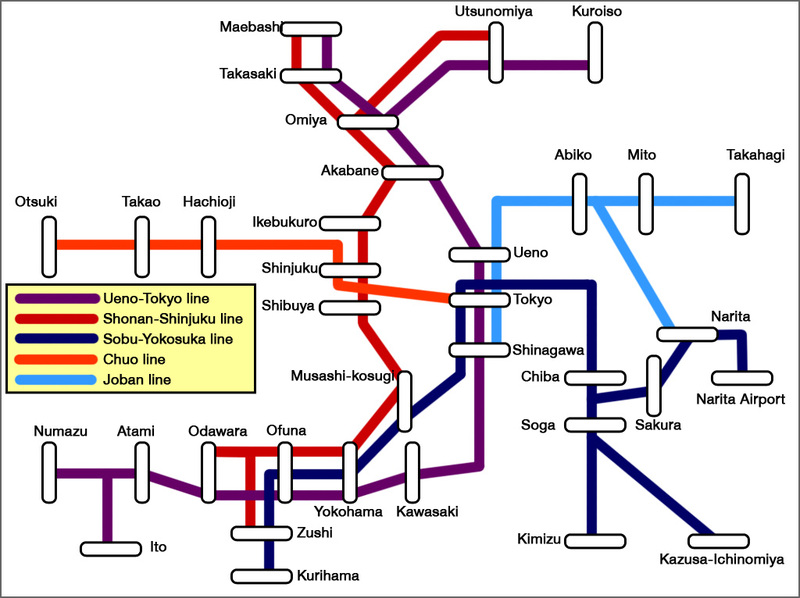 And I will also tell you about the train system surrounding in Tokyo too. Because some of trains that come from outside Tokyo go to downtown Tokyo via subway line. This is actually one of the reason why it is so difficult to understand train system in Tokyo. Continue reading Guide to take trains in Tokyo. How to choose the best deal and the best route by the train. Trip to Tokyo Disneyland and Tokyo DisneySea in 2015 spring, Part 3. Visiting Tokyo DisneySea with small child. Posted on May 9, 2015 July 25, 2015 Categories 2015 spring Tokyo Disney Resort, TokyoTags Aquatopia, Ariel, Frozen, Maihama, Tokyo Disney Resort, Tokyo DisneySea3 Comments on Trip to Tokyo Disneyland and Tokyo DisneySea in 2015 spring, Part 3. Visiting Tokyo DisneySea with small child. Volcano is the icon of Tokyo DisneySea. This post is continued from the previous post,　Trip to Tokyo Disneyland and Tokyo DisneySea in 2015 spring, Part 2. Visiting Tokyo Disneyland with small child. I spent 2 days for Tokyo Disneyland and Tokyo DisneySea. In this post, I would like to tell you about my second day at Tokyo DisneySea. I have already explained about ticket and planning at the previous post. I will talk about my experience in Tokyo DisneySea only. Continue reading Trip to Tokyo Disneyland and Tokyo DisneySea in 2015 spring, Part 3. Visiting Tokyo DisneySea with small child. Trip to Tokyo Disneyland and Tokyo DisneySea in 2015 spring, Part 1. Preparation and access from Narita. Posted on April 22, 2015 September 2, 2015 Categories 2015 spring Tokyo Disney Resort, TokyoTags Disneyland, Maihama, Narita (NRT), Tokyo Disney Land, Tokyo Disney Resort, Tokyo DisneySea2 Comments on Trip to Tokyo Disneyland and Tokyo DisneySea in 2015 spring, Part 1. Preparation and access from Narita. Cinderella castle is the icon of Tokyo Disneyland. I visited Tokyo Disneyland and DisneySea with my daughter who just became 6 years old when she was there. It was the first time to visit there in last 20 years for me. I did not remember about the last trip 20 years ago. And also it was the first time to visit there with small child. So I was almost the first timer almost, maybe same as you. I usually talk about train trips and other transportation in this website. But I have learned many things about Tokyo Disney Resort (Disneyland and DisneySea) as “the first timer”. Even though I am not the expert of Tokyo Disneyland, I believe the things that I have learned will help you to prepare and build the plan to visit the wonderland, Tokyo Disney Resort. I would like to share my experience and tips about visiting Tokyo Disney Resort in three parts. In this first post, I would like to show you access from Narita airport and preparation before I was there. Continue reading Trip to Tokyo Disneyland and Tokyo DisneySea in 2015 spring, Part 1. Preparation and access from Narita. It you use JR Pass, JR East Pass or Kanto Area Pass right after you arrive in Narita, you don’t need to purchase any more deals or passes. But some of you stay in Tokyo for the first several days and activate JR Pass or other deals. In this case, you might think about additional deal for the transfer to Tokyo from Narita. Mt. Fuji Round Trip Ticket is back in 2015. Perfect choice for just trip to Fuji san! Posted on June 11, 2014 July 25, 2015 Categories Mt. Fuji and Hakone, Rail pass for visitors, Tokyo, World HeritageTags 5th station, Fujisan, Lake Kawaguchi, Narita (NRT), Otsuki, Tokyo, fuji, kawaguchiko, shinjuku87 Comments on Mt. Fuji Round Trip Ticket is back in 2015. Perfect choice for just trip to Fuji san! This deal, Mt. Fuji Round Trip Ticket was on sale in 2013 and 2014 during summer season only. Now this deal has just been back in 2015 season. If you have a plan to Mt. Fuji and other place, like Nikko or Kusatsu, Kanto Area Pass is better choice. But if you need a deal for trip to Mt. Fuji only, this pass is most suitable. I show you the the detail about this pass and compare with other deals. Continue reading Mt. Fuji Round Trip Ticket is back in 2015. Perfect choice for just trip to Fuji san! Tokyo Metropolitan District Pass (Tokyo Tokunai Pass), good choice for sightseeing in Tokyo. Posted on June 2, 2014 October 21, 2018 Categories Rail pass for residents, Rail pass for visitors, TokyoTags Kinshicho, Shinagawa, Skytree, Tokunai pass, Tokyo, Tokyo Metropolitan District Pass, Ueno, Yamanote line, ikebukuro, shibuya, shinjuku175 Comments on Tokyo Metropolitan District Pass (Tokyo Tokunai Pass), good choice for sightseeing in Tokyo. There are many deals available in Tokyo. Tokyo Metropolitan District Pass is one of these deals. In this post, I would like to show you how to use this pass and compare with subway deals. Continue reading Tokyo Metropolitan District Pass (Tokyo Tokunai Pass), good choice for sightseeing in Tokyo. Shinagawa is one of the terminal station in Tokyo. It is the transfer point of Tokaido Shinkansen (Nagoya, Kyoto, Shin-Osaka), Keihin Kyuko (Haneda airport), Narita Express (Narita airport), Yamanote line (Shinjuku, Shibuya, Tokyo) and many more lines. This post is continued from Trip to Aizu, Nikko and Hakone in 2014 winter – Part 1, from Narita Airport to Tokyo. I visited Japan in mid February. In this trip, I went to Aizu, Nikko and Hakone as you see the above map. I also have taken several attractive trains in this trip. I would like to share my experience. Complete access guide to Ghibli Museum from Tokyo and Shinjuku. Posted on November 7, 2013 July 25, 2015 Categories Kanto Area, TokyoTags Chuo line, Chuo-Sobu, Ghibli, Mitaka, Sobu-Chuo, Tokyo, shinjuku28 Comments on Complete access guide to Ghibli Museum from Tokyo and Shinjuku. Laputan robot stands up at the roof of the museum. I visited Ghibli Museum in this past spring and I realized how popular this site is for overseas travellers. It is not very difficult to access this museum. But some of you worry about language, direction, storage and exact location to catch a bus to the museum. In this post, I use lots of picture to explain about access by train and bus. Continue reading Complete access guide to Ghibli Museum from Tokyo and Shinjuku. Try to book and take overnight train on arrival day. I wanted to check how long we spend to change the pass, book and transfer to Ueno/Tokyo. To take Resort Shirakami and Akita Nairiku Jukan Railway. I wanted to see some spots and trains in Tohoku area. To go to Kawaguchiko (Lake Kawaguchi) station from Shinjuku via Fuji Kyuko Railway. I wanted to take both Fujisan Limited Express and Fuji Tozan Densha on Fuji Kyuko Railway. To take a train between Nagano and Naoetsu. This section will be transferred to non JR lines in 2015. Because it will be transferred to third sector companies, Shinano Railway and Echigo Tokimeki Railway after Hokuriku Shinkansen will open. JR Pass will not cover this section. To take Limited Express Hakutaka. This express train will be discontinued after Hokuriku Shinkansen will open in 2015. Posted on January 2, 2012 July 29, 2015 Categories Tips for Japan Rail Pass, TokyoTags Akihabara, Ginza, Harajuku, Imperial Palace, National Diet, Odaiba, Roppongi, Tokyo Sky Tree, Tokyo Tower, Tsukiji, asakusa, shibuya, shinjuku472 Comments on How much can we use Japan Rail Pass in downtown Tokyo? I wrote the post about Tokyo subway long time ago. I mentioned that Subway is the best for sightseeing in Tokyo. But some of you travel in Japan for 7 days that include Tokyo. You still can use Japan Rail Pass 7 days pass to explore in Tokyo. So I would like to explain more about Japan Railways local trains in Tokyo. And also I will tell you which popular spot you cannot access by Japan Railway. Continue reading How much can we use Japan Rail Pass in downtown Tokyo? Posted on January 25, 2010 August 27, 2018 Categories side trip, Tips for Japan Rail Pass, Subway, TokyoTags asakusa, buddhist, ryokan, sensoji, temple51 Comments on How to access to Asakusa. Can we get Asakusa by Japan Rail Pass? Asakusa (浅草) is very popular district in Tokyo. We have Senso-ji, Buddhist temple there. We also have some more temples, so many Japanese souvenir shops and Ryokan (Japanese style accommodation that has Tatami room). Asakusa is nice place to stay. But if you access from downtown core of Tokyo, such as Tokyo or Shinjuku station, I recommend you to take subway. JR does not have a station in Asakusa. JR has “Asakusa-bashi” station. But it might make you be confused. This station is not located in Asakusa. It takes at least 20 minutes walk. Both Tokyo Metro and Tokyo Toei subway lines have stations in Asakusa. In this post, I will show you the access to Asakusa from major stations in Tokyo Continue reading How to access to Asakusa. Can we get Asakusa by Japan Rail Pass? Tsukiji Market was closed on October 6, 2018 and moved to new market, Toyosu Market on October 11, 2018. This is the most popular destination for the foreign travellers in Metro Tokyo. Tsukiji Market (築地市場) is the biggest wholesale market in Japan. You can see “Seri” that means the auction. Especially viewing Seri for Tuna is very popular. It is held from 5:00 am to 6:30 am on weekdays. You can taste very fresh sushi at the reasonable price!